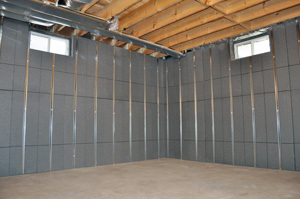 Here at Superior Basement Systems, we offer a variety of options for insulating your foundation. All of the insulation products we install are designed to withstand water and moisture and provide you with greater comfort from the ground up. The best crawl space insulation. 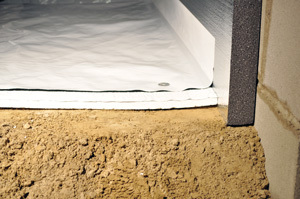 For extra comfort & energy savings, we recommend installing a radiant barrier against crawl space walls and TerraBlock™ flexible foam insulation on the crawl space floor, beneath the moisture barrier. The best way to insulate your crawl space is to install a radiant barrier against crawl space walls and TerraBlock™ foam insulation over the floor. Both types of insulation offer high R-value, stability and durability. Our crawl space insulation solutions won’t absorb moisture, support mold or deteriorate over time. Insist on these two high-performance products if you want to do it once and do it right. 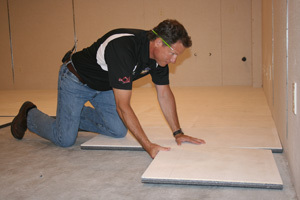 We can help you start from the ground up to improve your home. By creating a dry, comfortable space below your home, you can improve the condition of your living space above. We provide waterproofing and insulation services to customers in Massillon, Canton, Wooster and many areas of Ohio.